Howdy everyone, I have recreated former member's road decal plugin. The category ID remains the same as before so it is still compatible to be used with other plugins. 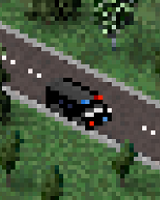 This plugin allows you to place stuff on roads which may look cool. Wait you can place buildigs and stuff there?!?!?!?!?!?!?! Do cars still drive on it or is it just a decal? o wait i has those! @JustAnyone , I still have the original, but it's nice that you remade it for the rest of us. It says cat_road_decal is already in use what is the problem?? ?